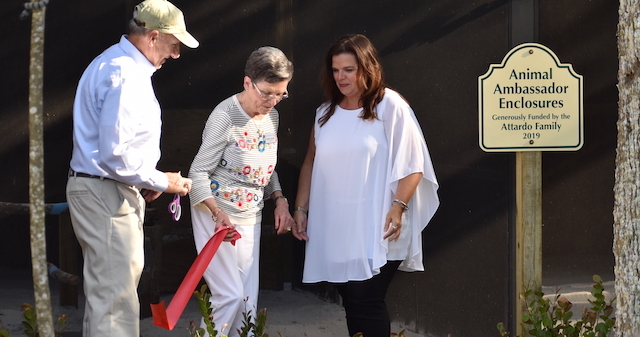 SANIBEL, Fla., (April 3, 2019) -- The Clinic for the Rehabilitation of Wildlife (CROW) presented its new “Animal Ambassador” enclosures during a ribbon cutting ceremony for a small group of distinguished guests on Tuesday, April 2. The project to build the permanent enclosures, generously funded by the Attardo Family, began over two years ago. Numerous set backs, including Hurricane Irma affecting the availability of materials, put the project behind schedule. “It just seemed as if we would take one step forward and two steps back,” says Linda Estep, immediate past executive director of CROW. 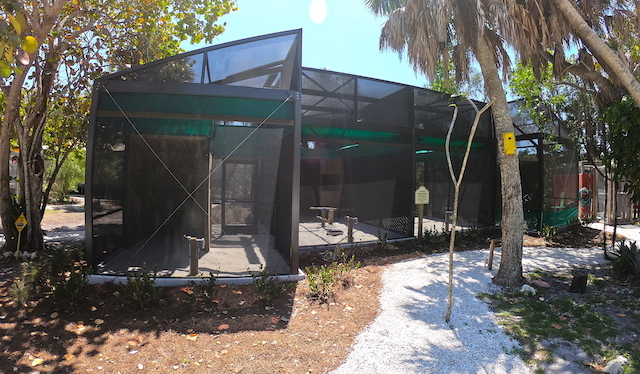 Now complete, the enclosures will serve as a permanent home for CROW’s Animal Ambassadors, animals that have sustained injuries or circumstances preventing their re-release into the wild. These animals, Mina, a great horned owl, Talon, a red-tailed hawk, Lola, an American kestrel, Billy, a nine-banded armadillo, and Bashful, a Virginia opossum, are part of CROW’s education and outreach programs. Patrons of CROW’s AWC Visitor Education Center will be able to see new enclosures as part of the “Wildlife Walk” guided hospital tour. Tours are currently offered Monday through Friday at 11 a.m. and again at 2 p.m. Wednesday through Friday. Advanced registration for the tours is required. For more information on "Wildlife Walk" guided hospital tours, please click here. Established in 1968, the Clinic for the Rehabilitation of Wildlife (CROW) is a teaching hospital saving the sick, injured and orphaned native and migratory wildlife of Southwest Florida and beyond. 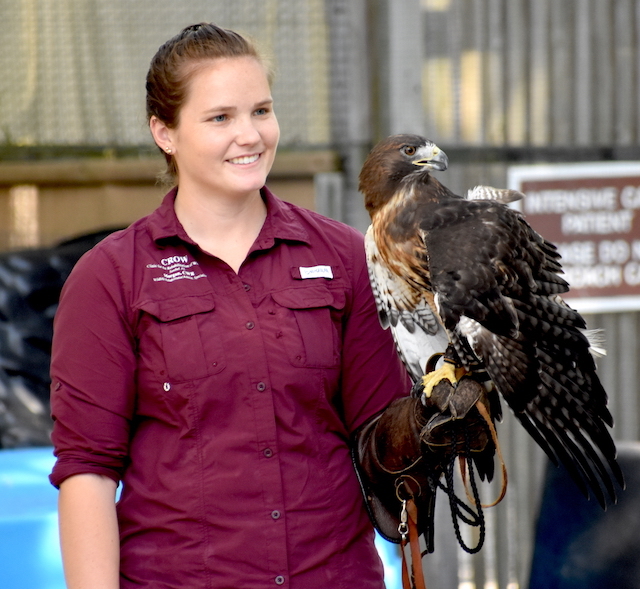 Through state-of-the-art veterinary care, public education programs and an engaging visitor center, CROW works to improve the health of the environment, humans and our animals through wildlife medicine. For more information, or to plan your visit, go to www.crowclinic.org. If you find an animal that is in need of help, call (239) 472-3644 ext. #222.